High end creative solutions and development. Peak Digital project. Booking system, CRM, Administrative back-end, Gallery and more. Peak Digital Project. Online store, Japanese front end / English back end. Customized cart recovery solutions and warehousing. Peak Digital project. Booking system, Sweepstakes, Member management and more. Creativity, meet Technology. Born in the beautiful mountains of Nagano. Peak Digital was born in the mountains of Nagano. The mountains are both in our name and in our business culture. We build world class digital solutions for leading companies, utilising cutting edge technology. At the same time retaining that small mountain town friendliness and customer service. No project is too big, no dream is too strange. Reach out to us and let’s chat about how we can help your project progress. Tours booked through our custom systems. Dollars processed through our e-commerce builds. Views in 24 hours, our best viral promotion. Emails sent by our custom CRMs. We understand the most important factor in any project is often time. Over the last two years we’ve delivered 100% of time critical projects before their deadlines. Second only to time constraints, budgets are important! We know you need an ROI on your project and the low overheads and costs of holding an office in Nagano mean we can help you get there. Peak Digital produces world class work. We’ve proven this through client driven ongoing relationships with national telecoms, Olympic committees, fashion brands and everyday small businesses. Our staff speak English and Japanese natively and most of our projects are bi-lingual. We regularly build and publish in 3rd and 4th languages on request. 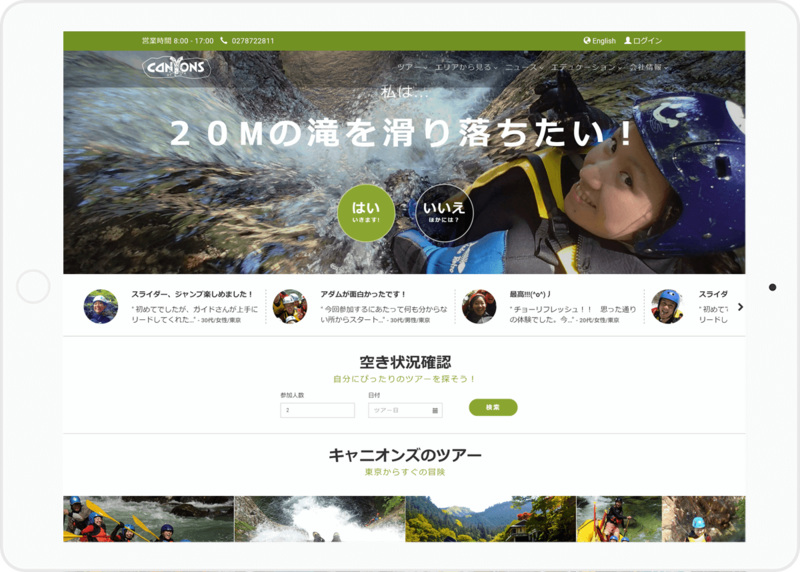 Canyons, one of Japans premier outdoor sports companies was in need of an upgrade. Spending countless man hours on paper forms and manually processing bookings via e-mail. Peak Digtial custom built an end-to-end solution allowing customers to book online, staff to manage bookings through a custom administration console and customers to sign-in and complete indemnity forms via a custom iPad application, streamlining their data into a purpose built CRM. After tours customers can utilise the same iPads to view and share galleries of their tours though another Peak Digital system. BT Guide. Country-wide GPS backed tour guide. Peak Digital built and delivered Bhutan Telecom’s first international product. A multi-lingual country wide audio guide and custom home application for the Android platform. 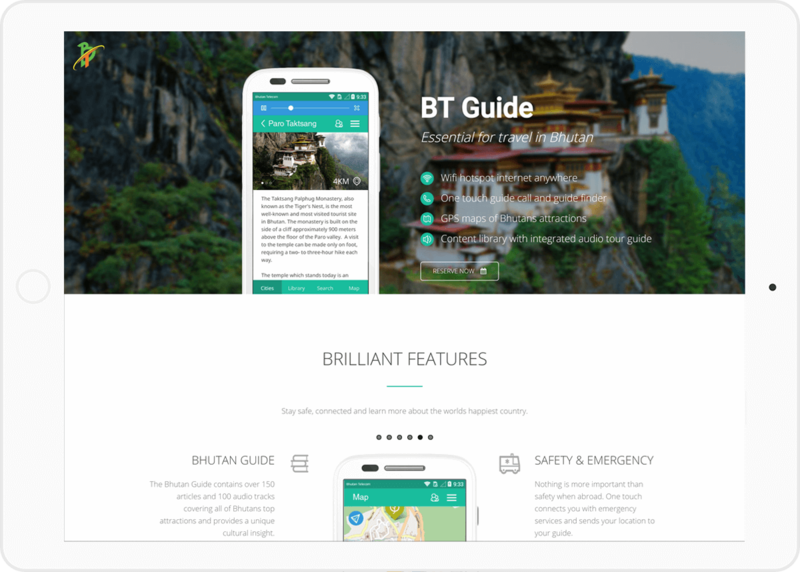 BT guide isn’t just a phone application. Peak Digital built a fully featured administrative backend to track rentals, phone locations, usage and for easy wireless updating of multi-lingual content. *Please note we do not take visitors without appointment.